The energy is ramping up again. Palpitations and more heaviness in the chest area making it difficult to breathe. A hand on the back with gentle massage to help loved ones who are struggling to integrate the energy. Drink plenty of water and spend time with animals, birds, trees, rocks and earth, sun, sea and sky. Honour the mother and the father. Long-suppressed emotions coming up for release, crying, laughing hysterically. Feels good to let go. Our English classes are turning into therapy sessions with students crying with laughter! It's a great time to be alive. I want to move to the next level, evolve past this stage. To understand this process more deeply. What do I need to let go of? Why can't I let go of needing ... something? Why am I still looking outside of myself for happiness, for answers? Can Mary Magdalen help me? Yes. "The term Initiate refers to one who has decided to live upward in consciousness, one who has decided to leave behind the mundane life and enter into an adventure of consciousness. " "Mary, the mother of Yeshua, when she was quite young, was recognised for her purity of spirit by the great Priestesses of the Isis temples. She was trained as an Initiate and reached the highest levels. But rather than becoming a Priestess, she was trained to become what is called an Incarnate. To be an Incarnate is to be a very highly advanced soul and requires undergoing tremendous spiritual training and discipline. In the final initiation, Mary became the holder of an energy stream directly from Isis herself. In this regard, she was an embodiment of the Cosmic Mother. It is as if there were two - Mary the human, pure of spirit and heart, holding within her a direct portal into the Great Mother, the Creatrix of all matter, of all time and space." "When I met Yeshua by the well for the first time, the mere proximity of his presence activated my internal Alchemies. A Serpent Power moved up my spine as if I had practiced the disciplines I had learned." Don't worry. You're multi dimensional. I just had an enlightening experience. After I finished my yoga session I said thanks to my teacher (Fiji McAlpine of Do Yoga With Me), and then to myself and my body. Then I thought that if my body has intelligence and consciousness, which I believe it does, it must have a name. So I asked my higher self what its name was and I got the name 'Aurora'. Then I remembered that a student in the new group I'm starting to teach tomorrow is also called Aurora! This confirmation is important to me because I recently decided to work more seriously on strengthening the connection with my higher self. I've given up using tarot, my pendulum or muscle testing for divination, as is the advice for this practice. The matrix formation that we present to you that is all that is you exists as the 'healthy matrix' within all structures that stand in alignment with Source. Blocks and repeated cycles of descending behaviour (negative emotional cycles) can cause lack of flow within various parts of the matrix. Stargate ascension with correct coordinates will not be possible with unresolved blocks and repeated negative cycles. The work within our previous transmission Masters of the Matrix will assist you in moving through these blocks and negative cycles. The moment that you shift your intention towards clearing, integration and stargate ascension, you activate codes that will bring your matrix into balanced flow. You can then access the stargates with the required coordinates for stargate ascension OR the ability to 'link into' or 'connect with' the 'Aurora dragon' (the collective consciousness of all the starseeds that create a cosmic unified DNA antimatter wave train of universal plasma). 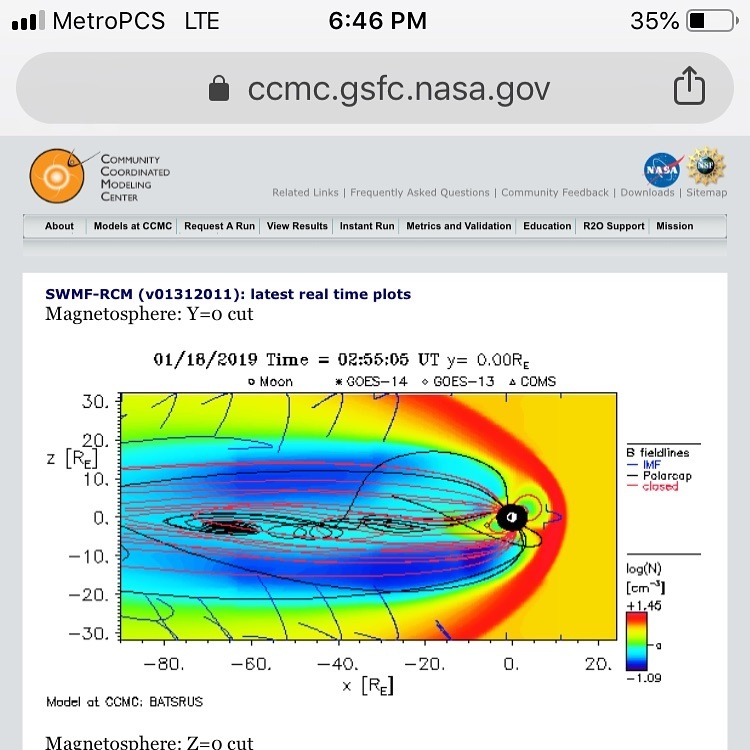 Starseeds who have not quite activated the required coordinates themselves can catch onto this and still ascend to 5D Gaia. Pixie, Magenta. The Infinite Helix and the Emerald Flame: Sacred Mysteries of Stargate Ascension (Kindle Locations 3423-3424). White Spirit Publishing. Kindle Edition. Last night and this morning I asked for guidance and when I was doing yoga I felt emotion moving through my body in the form of grief, sorrow and shame which I asked to release along with all the heaviness of the past. This is all part of the process I am going through at the moment especially in the dream state when I have been having vivid experiences on the astral levels, often with my ex and his current girlfriend. All part of the healing, I suppose. My dream last night was significant because in the dream I was in a house, which I remember as being temporary, and I was in hurry to pack everything because I was leaving the next day or within a few hours. There was stuff everywhere and I was panicking because I had so much to do and I was worried I had enough boxes or plastic bags for all of it. I remember considering throwing it all away and at one point I was giving some of my things to my ex's girlfriend before I woke up. (This really is poignantly symbolic of me wanting to clear out my memory fields.) The last image was of me finding a small set of laminated cards with pictures on but I don't remember what the pictures were. I just remember that they distracted me from what I was supposed to be doing, which is the story of my life. I'm forever being distracted from what I'm supposed to be doing! I know that the outer world is a mirror of the inner and that I choose to create something beautiful. I forgive myself for sometimes losing sight of my goals but I fully commit now to the path I am on and look forward to seeing where it leads. I see myself having lots of fun after all the hard work! Sandra Walter explains what is happening during this phase, in general and to our bodies in particular with advice on how to cope with symptoms and take care of ourselves. The eclipse here in Spain takes place between 3.37 and 8.48 am tomorrow morning. It is the only eclipse in 2019. It will take place in the sign of Leo, which is the opposite sign to Aquarius. The full moon always takes place in the sign opposite to the sign the sun is currently in. The eclipse is a portal I had not even realised that there was another eclipse this month so soon after the one in July last year. But when I found out this explained why I had suddenly become ill. I woke on Friday feeling ill but went to work hoping to feel better. However, after an hour I realised I was feeling much worse and had to go home. All weekend I have hardly been able to move due to pain in all my nerves: head, neck, spine, causing nausea and dizziness. These are the same symptoms I have had on several occasions but the worst since the solar eclipse the summer before last. Yesterday was the worst day and I slept all afternoon. I was in so much pain and discomfort that I began wondering if I should go to the doctor in case I have some sort of neurological condition. But I took matters into my own hands by doing a guided meditation by Sandra Walter. Taking advantage of an empty house I was able to sit quietly in meditation with my amethyst pendulum, my beloved clear quartz single termination and a small smoky quartz cluster for grounding. After completing the meditation I felt much, much better. This is the meditation in case you would like to try it. Today I'm getting back to normal and just an hour or two ago I felt the apathy and low level depression I've been suffering from for days lift a little and some energy flow back into my body. When I finish this I'm going to do some yoga to stretch out my muscles, remove blockages and allow the energy to flow. On Friday I looked in some of the Facebook groups I'm a member of to see if anyone else was suffering like me. 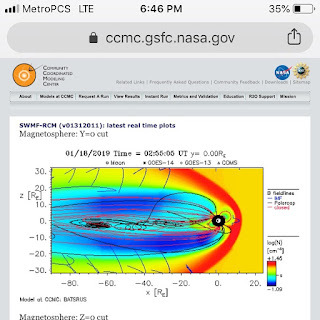 There were many posts from people asking how people were coping with the increase in magnetic radiation and energy. Many people have been complaining of headaches, neck aches and exhaustion this weekend, just like me. It's nice to know I am not alone. I'm not entirely sure what is happening to our bodies but it has something to do with a recalibration of the nervous system and upgrading of the DNA. "We call this time the Collective Detoxification, for this is that which you undergo. It is the final detox before the completion of your planet. Yet the final detox, the Great Grand Gateway, sets the stage for a new reality, the manifestation of the change that you, starseeds on Earth, truth seekers and warriors of light, have long desired, hoped for, waited for and intended. Now this comes to pass. Yet your missions are not yet over for you now choose the configuration to create at the time of the Great Grand Gateway, the fifth dimensional portal to Gaia. If you choose retribution, anger, revenge, punishment and an inflated sense of ego due to your winning the game, if you will, you begin to feed the starved, dark worker factions once again. So they may fuel the inverted merkaba, that is not a merkaba, and spin the black box black cube. If you choose compassion, forgiveness, joy, togetherness, creativity and the path to collective ascension, you do not watch the darkness fall and turn your back on it, if you will, you watch the light rise and walk towards it. You focus on the glory of the Now moment and the wonder of the future reality. You take action and create the ascension timeline in alignment with all that is you on a collective, planetary and galactic level. The dark-worker, hive-mind reality will naturally fall away from your view and will live out the reality they have created. Your compassion and forgiveness is not weakness, it is the reclaiming of your own momentum. Compassion powers your merkaba and forgiveness clears the skies so you may fly free with your eyes wide open and your new-found wings stronger than you ever believed possible. The way to access the energy of the Great Grand Gateway and be part of the creation of the new world through the Wolf Blood Supermoon and the total lunar eclipse 20-21 January 2019, is to work individually and collectively. Meditation or other spiritual practice, creation of the altar, ceremonial high-magic and celebration all have their place. Collectively you join through your hearts, for you become one mind through becoming one heart. You join with the heartbeat of mother Gaia and you walk to the beat of her drum. Your drum, the Schumann Resonance frequency that powers through your cellular system and transforms your DNA so that in turn you transform your environment and thus the world. At this time of collective detoxification, you may be called to detoxify in your own life, with friends, family, places, events, houses, foods, liquids, thoughts, emotions. Go with this, for this is most natural as you stand as a replica, mirror image of the Earth that is beneath your feet and the star-filled skies above. You are a cosmic being, a galactic being. Detoxification symptoms are not always easy and are often a challenge to go through. Yet, rather than run from the detox, you embrace it for you know it clears your system and brings you into optimum health and healing so that you may express yourself as the greatest version of yourself. This is the match to the environmental energetic which is that we call the ascension timeline. The Wolf transformed in your mind from the trickster who falsely befriends you so he may consume you, into the powerful strong, gloriously beautiful wild animal running free. This is the transformation that takes place. You embrace the wolf of your choice at the time of the Wolf Moon - the constricted or the empowered."